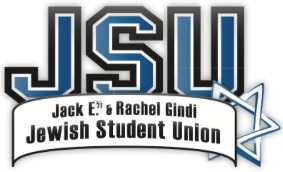 Jewish Student Union (JSU) is a program of NCSY with clubs that meet weekly at lunch at eleven public and private high schools in Greater Phoenix. JSU clubs give teens a forum to meet other Jews and discuss both communal and global Jewish current events. They often connect unaffiliated teens and inspire them to take initiative in the broader Jewish community.